Vasundhra Heights is a colourful and homely budget property located in Alamgiri Ganj, in Bareilly. The property is located near Math ki Chowk which is a 10 minute walk from the main road. The hotel has a kitchen and stylish dining space. There is a big conference room which can be used by guests for meetings and gatherings. 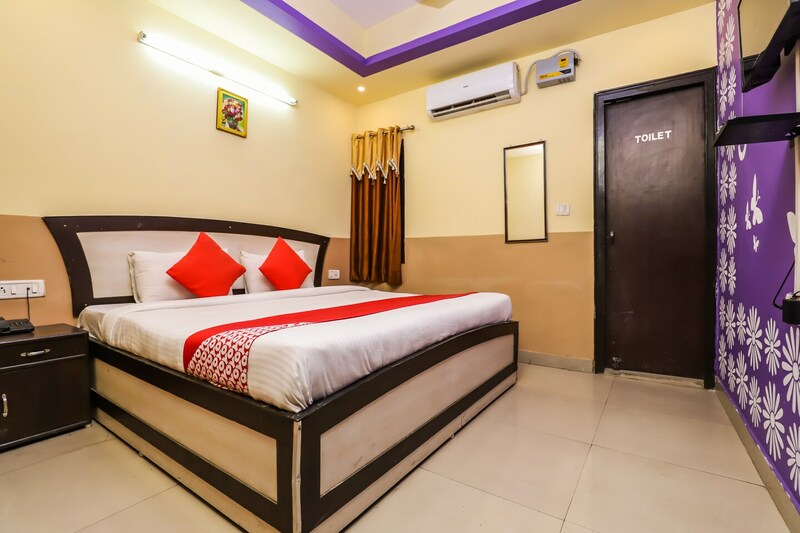 The rooms are vibrant, thanks to splashes of red, orange, purple and yellow, and are furnished cosily. The bathrooms are clean and modern. All the rooms feature a queen sized bed, an air conditioner, a kitchen, and a television. The hotel provides free Wi-Fi, power backup, CCTV coverage, and laundry services. Some nearby food joints are Rakabdar cafe and Brewberrys cafe. On the other hand, some nearby tourist spots are Fun city, Trivathi Nath Temple, and Ahichhatra.